Free questions. What's better? SWTP's been running a series of free DSM-5 questions on their blog. The focus lately has been anxiety disorders. Once you've run through these questions, you'll be able to stare down anxiety questions on the ASWB exam without breaking a sweat. Still better than the questions alone are the explanations in each post, which walk you through the process of elimination. Sometimes you have to know the info to get to the right answer. Sometimes you have to know how to approach the test. Any good set of practice questions will give you exposure to both content and test-taking know-how. The idea on these is "come for the free practice questions, stay for the full-length practice tests." 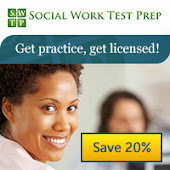 This week SWTP made practice test purchasing a little friendlier. 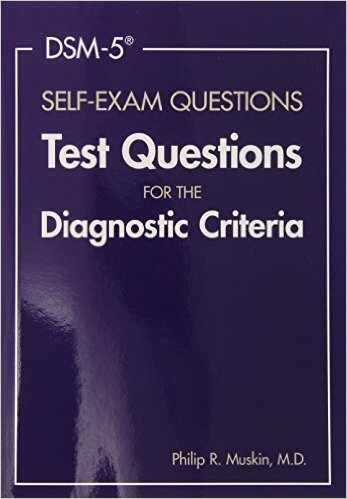 You pick and choose which of their tests you want to study. The bundle savings (and the price) are tallied instantly as you select and deselect exams on the account page. Neat. Want more DSM questions? 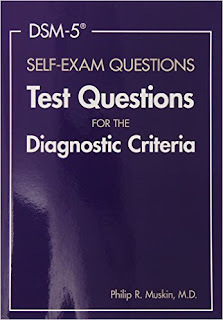 Try the Google Books preview of DSM-5 Self-Exam Questions, by Philip Muskin. "Come for the preview, stay for the whole book," in this case. Enjoy! And good luck on the exam!